Being a responsible traveller is about travelling in a way that is more respectful, more aware, and more mindful of the impact our travel choices can have on the environment and the local communities. 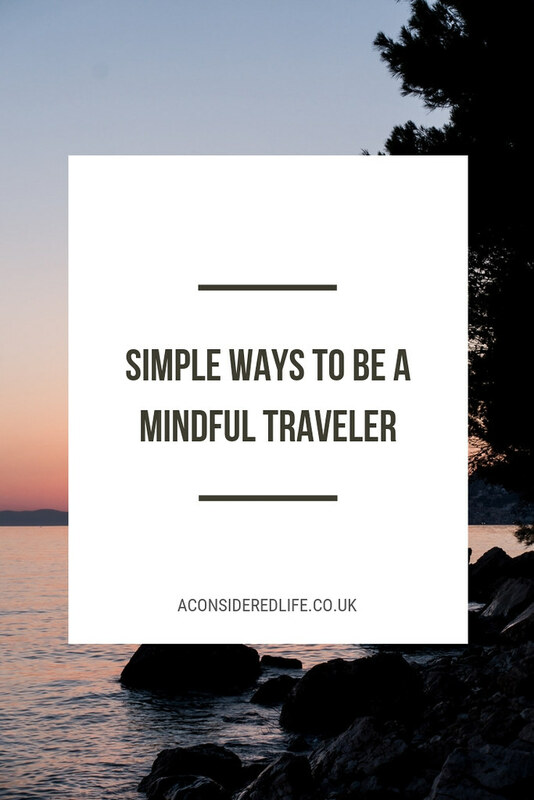 Mindful travel is about travelling in the best way we can so that we ensure what we're doing is respectful and considerate, and we cause the least harm to the people, the animals, and the planet we encounter along the way. Knowledge, research, and awareness are crucial to becoming a more ethical, more self-aware traveller. Anyone who has traveled regularly will have made mistakes and done things they later regret, I certainly have. It isn't always easy knowing what the right choice is. Not everything we do on our travels will be perfect, all we can do is try to be the best travellers we can. These simple steps are a reminder of how we can be a more responsible, more considerate, and more ethical travellers on our future adventures. Travel is rather self-indulgent but a necessity for many countries who rely on the income from tourism. Air travel is terrible for the environment so to help minimise your carbon footprint, it's better to take fewer, extended trips than lots of short ones; avoid unnecessary flights and plan for direct routes to avoid layovers. Ocean cruises are one of the worst kinds of tourism, it pollutes both the sea and air, cruises keep money out of the local community and workers are often mistreated. When you arrive at your destination, stick to walking or cycling and use public transport as much as possible. Thinking of travelling a few times in a year? Reduce the impact you have on the planet by spending more time travelling closer to home by exploring your own country first. Pack light and travel smart. Almost all of us have a tendency to think we can't travel without a suitcase that we've crammed as much as possible unless we teach ourselves new habits. Make better decisions when packing for your trip; take only what you need and include any of those "just in case" extras. Avoid buying items especially for travel, you don't need them. Pack casual, simple, and light. Try to take hand luggage only, it's often cheaper (airlines often charge for checked baggage) and it will make travel so much faster and easier. When we travel to another country we are visiting people's homes, so consider how you would like to be treated if someone was visiting yours. 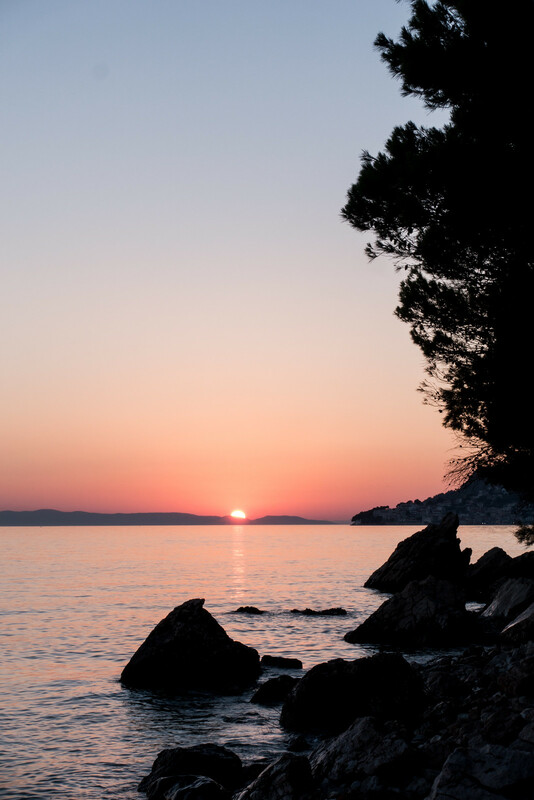 A responsible, ethical traveller does their best to immerse themselves into the culture as much as possible. Before travelling, research local customs and learn a few key phrases of the local language so you can talk to the locals. Learn about cultural nuances, like customary greetings, hand signals, and eye contact, and how to show gratitude. Being a respectful traveller means being culturally sensitive to local traditions and a country's way of life. Be mindful of how you dress especially around religious sites, avoid being unnecessarily loud, and be respectful when taking photographs. Booking with large corporations and eating at familiar places is the easy choice but it doesn't do much to help the local community. When traveling, be mindful of where you're spending your money. Book local accommodation like small family-run hotels and AirBnBs instead of chain hotels. Support local businesses by eating local food, buying from independent shops and markets, and avoiding chain stores. This puts money into the pockets of the local community instead of large corporations. Global companies impose on local communities so it's better to support a place where tourism is done to them but isn't something they're part of. If you would like a guide, choose a local one instead of booking through a large tour operator. Feel good about the money you're spending while traveling by giving back to the local community. It should go without saying that when we travel we should leave only footprints and no other trace. Unfortunately, mass tourism is destroying the environment and a large part of that is down to littering. When you travel, clean up after yourself and other people. Visit in small groups and schedule your excursions to avoid times of high use. When visiting, do not touch cultural or historic structures or artifacts and leave nature as you found it. Observe wildlife from a distance, don't follow, approach, touch, or feed them. This can affect their health, alter their natural behaviour, and expose them to danger. Bring eco-friendly products with you to reduce waste. Pack a Steripen and reusable water bottle, lunchboxes for food and basic utensils to avoid having to rely on disposable items. Repackage any food you have to buy to minimise waste and recycle it responsibly. Being an ethical traveller not only means being respectful of local cultures and the environment, it also means being compassionate in the tourism we participate in. Make use of websites like TripAdvisor and read reviews before booking any tours, trips, or experiences to avoid inauthentic tourist traps. Visit.org can help you find sustainable, community-based tours and activities that will provide you with more engaging and immersive experiences. Avoid 'drive-by tourism', fleeting excursion and whistle-stop tours that allow you only a brief moment at each location. Slum tourism turns poverty into entertainment, something to be experienced and then escaped from. It's disrespectful and obnoxious, avoid participating in trips that involve visiting impoverished areas for tourists to become voyeurs of poverty. Be aware of conflict items, such as diamonds and ivory, and just don't buy them. If you do wish to buy souvenirs buy them from locals instead of shops especially for tourists. Animal exploitation is rife in tourism, the industry treats animals horrendously. Don't be a part of the problem. Culture isn't an excuse for cruelty; avoid any and all excursions, trips, or attractions that involve animals whether it's taking photographs with tigers, visiting zoos, riding elephants, or watching bullfights. When a wild animal is being used to make money from tourists, as part of religious or other festivals, it's cruel and exploitative. 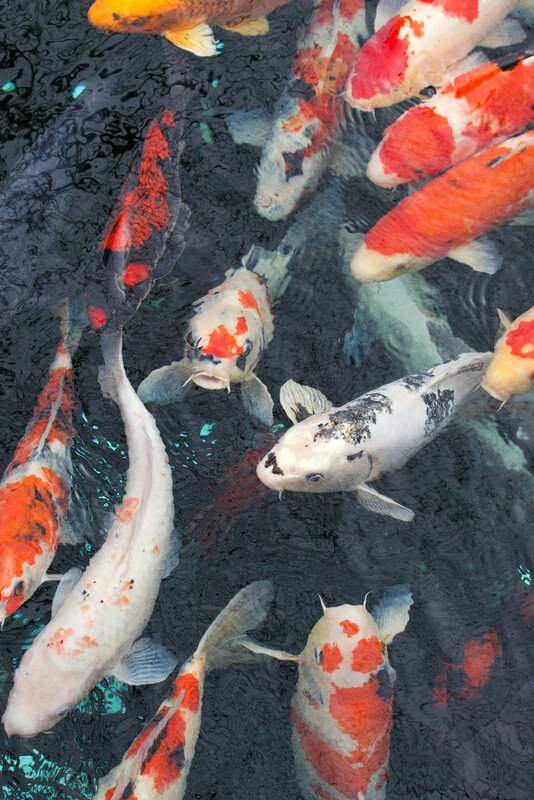 Avoid all products and souvenirs made from animals, that includes fur, ivory, tortoise shell, and seahorses, but also food that includes wild or endangered animals, or use inhumane production methods. Do your research and find ethical alternatives such as rescue centres, conservation sites, and sanctuaries. You'll be able to view wildlife where it belongs: in the wild, and you'll be supporting animal charities and organisations that are doing excellent work to provide animals with the peaceful and safe life they deserve. One final, important way we can be more considerate travellers is to leave reviews and give feedback. After your trip, consider what you've experienced; the places you've visited, who you met, what you did, and how you felt about it all. The reviews you write for local businesses and guides can help other travellers make better decisions with their travel plans. Providing feedback, both positive and constructive, helps others to avoid pitfalls or mistakes, and choose better, more ethical options when it comes to picking where to stay, what to do, and the trips they take. You can also give back by supporting the people, organisations, or charities you traveled with by promoting them online, recommending them to friends and family, and donating to their cause. Giving back in this way means we encourage others to become more ethical, more responsible, and more compassionate travellers. 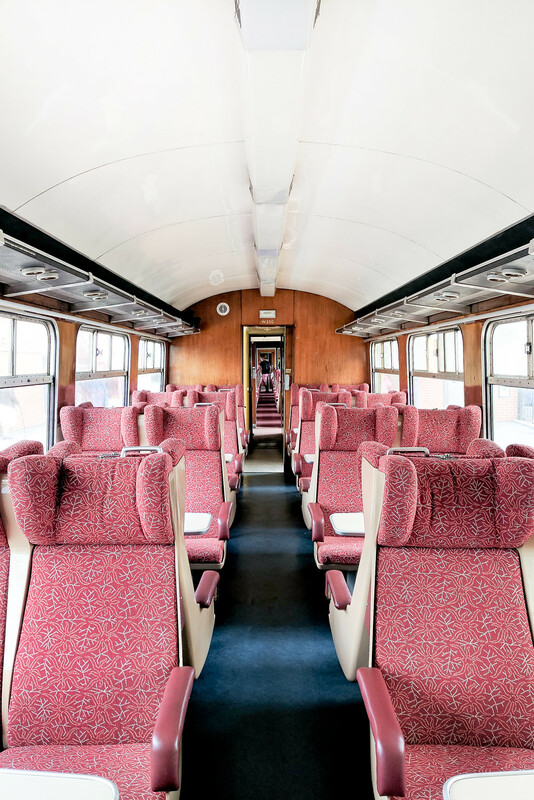 Are you mindful of how you travel? What are your tips for being an ethical traveller?